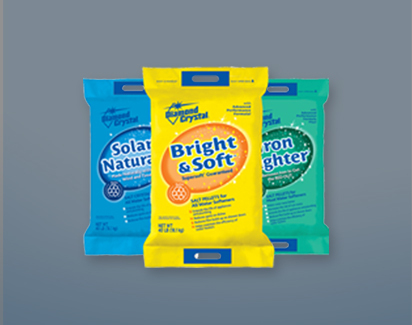 Peterson Salt offers a variety of salt products including water softener salt, ice melt, and pool salt. Soft water improves cleaning efficiency up to 250 percent – saves on soaps and detergents and significantly improves the appearance of fabrics. The type of salt you should use depends on what type of softener you have and your source of water. 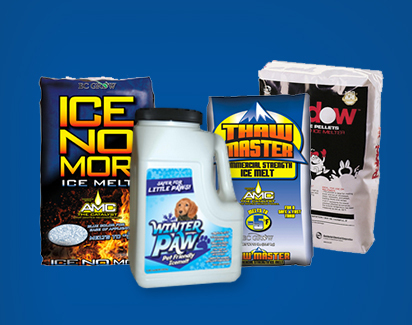 Peterson Salt and Water Treatment wants you to be prepared to battle those slick sidewalks and icy parking lots with our selection of quality ice melt products. Our ice melts are safe, fast-working, and affordable. Ask about our pet and environmentally friendly products. Salt water chlorinators are the newest trend in treating your pool’s water. These chlorine generators use an electric current to turn salt water into chlorinated water. 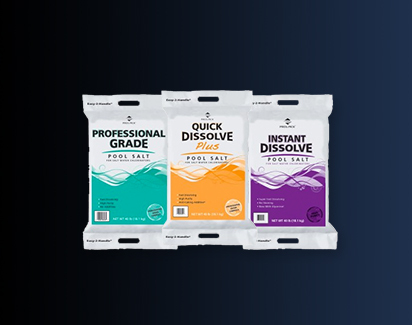 The benefit to using a pool salt as opposed to traditional chlorine is that a salt-water pool will have “softer” water and will require fewer chemical treatments. Our online ordering system is fast, easy, and convenient. Place an order online and let Peterson Salt solve your salt needs today.